A file photo of a house for sale. Higher mortgage rates and overheated home prices hit Southern California home sales hard in September. "The double whammy of higher prices and rising mortgage rates has priced out some would-be buyers and prompted others to take a wait-and-see stance," said Andrew LePage, a CoreLogic analyst, in the release. "There was one caveat to last month's sharp annual sales decline — this September had one less business day for recording transactions. Adjusting for that, the year-over-year decline would be about 13 percent, still the largest in four years." Is the consumer still there? from CNBC. On a monthly basis, sales fell 22 percent in September compared with August. Sales usually fall about 10 percent from August to September. The median price of Southern California homes sold in September, $505,000, was still 3.6 percent higher than it was a year ago. That was the lowest annual gain for any month in more than three years. 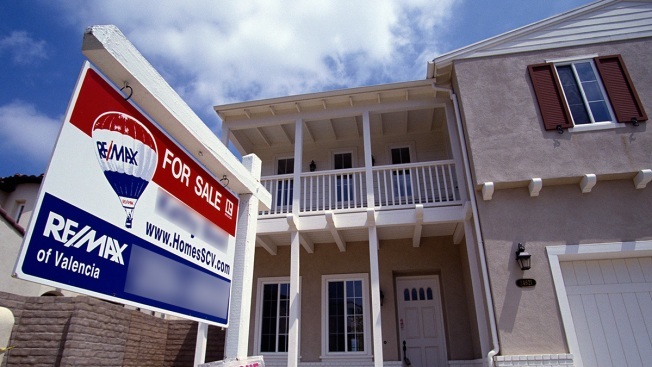 "Price growth is moderating amid slower sales and more listings in many markets," LePage said. "This is welcome news for potential homebuyers, but many still face a daunting hurdle – the monthly mortgage payment, which has been pushed up sharply by rising mortgage rates." LePage noted that while the median sale price was up 3.6 percent year over year in September, the principal and interest mortgage payment on the median-priced home was up 14.2 percent because mortgage rates increased about 0.8 percentage point over that period.